Friends World Committee for Consultation invites Friends Meetings and Yearly Meetings to send in news how they are working on sustainability, to be shared on their Sustainability Resource webpage> Their goal is to encourage, support and connect Quakers worldwide as we carry forward our testimony of sustainability. I wrote to you in September 2017 when I joined the FWCC World Office to let you know about the sustainability project we are running over the next two years. In the past few months I have talked to Friends all around the world and have heard inspiring stories of how Quakers are taking action to tackle concerns around climate change and the impact on natural resources, human rights, peace and justice. 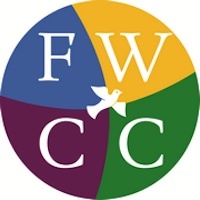 You can read some of these stories on the FWCC website here, alongside a collection of posters, videos and articles that are available for you to use. I am writing today to invite you to share stories from your yearly meeting. I am collecting testimonies from Friends living sustainably and justly on this earth, to help inspire yearly meetings to take further action, engage Young Adult Friends across the Sections, and to encourage more yearly meetings to report on their work. We want to hear from you! It is important that all actions are celebrated and shared, however large or small. If you are interested in sharing your yearly meeting’s story as a video or case study, please email me. The stories we gather will form a series called ‘Sustainability in Action’ which will be printed as a booklet and shared with Friends around the world. We are also building a library of images. If you have any photographs of your sustainability work, the impacts of climate change where you live, or climate solutions from your meeting or church, we would be happy to receive them. We are building connections with Young Adult Friends around the world and would be grateful if you could connect us with networks of Young Adult Friends within your yearly meeting. Finally, if you have a sustainability contact or a committee for environmental concerns within your yearly meeting, it would be helpful if you could share their contact details with the World Office. Together, we can make a meaningful contribution to stabilising the climate as we strive to live in right relationship with all creation and live in a sustainable way on the earth. We remember the words of Friends in the Kabarak Call for Peace and Ecojustice; “we are called to be the salt that flavours and preserves, to be a light in the darkness of greed and destruction”. Thank you for supporting this work. If you have any questions, please get in touch with me.